HOME >News >News >IS MY BUS CANCELLED OR DELAYED TODAY? IS MY BUS CANCELLED OR DELAYED TODAY? 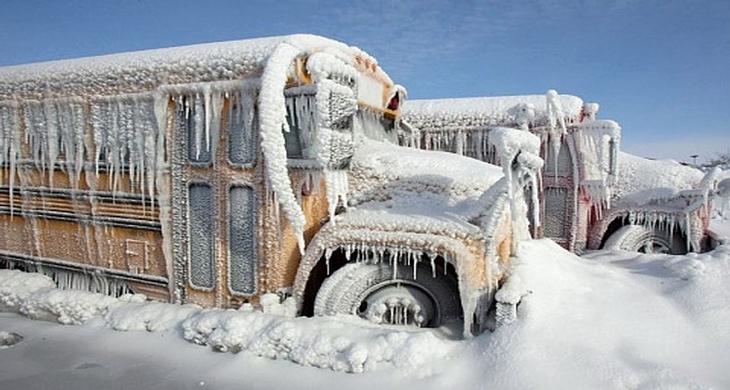 Buses may be delayed or cancelled for a number of reasons such as mechanical problems or inclement weather. Delays or cancellations are posted on the website www.triboard.ca These delays and cancellations may be viewed by parents/guardians or school administration by going to our website and clicking on our Cancellations & Delays icon. You may sign up for direct notification of delays and cancellations by going to our Delays and Cancellations tab near the top of our webpage. There is also other pertinent information regarding delays and cancellations for parents/guardians at this location including a listing of local radio stations that will air cancellations and delays. Snow, Ice, Etc. – It is a consensus that Tri-Board Student Transportation Services Inc. staff, after consultation with Bus Operators, are in the best position to determine whether or not buses should run. Bus routes cancelled due to inclement weather are cancelled for the whole day. Since Tri-Board covers such a vast area, we rely on the input from our Bus Operators to provide information on road conditions. Environment Canada and other pertinent weather sites are also monitored for updated weather information. Fog – Buses that do not travel a route in the morning due to heavy fog, and the fog clears during the day, the bus will pick the students up at the school in the afternoon for the return journey. In the event that the fog does not lift during the day, a decision to cancel afternoon runs will be made by 12:00 p.m. with schools being notified of the decision at that time. Parents/guardians will be responsible for the return transportation for any students dropped off at school. All schools in Algonquin and Lakeshore Catholic District School Board, Hastings and Prince Edward District School Board, Limestone District School Board, Sir James Whitney School and Whitney Public School will remain open in the event of full bus cancellations unless otherwise determined by the Director(s) of Education. In the event of a full or partial cancellation, all radio stations will be notified so that announcements may made after 6:00 a.m.
Should a full bus cancellation be in effect for all the Tri-Board area a pop up message indicating a full cancellation will be placed on our website. Is There an Age my Child Can be Let Off the Bus Alone? How Do I Know if My Bus is Delayed or Cancelled?